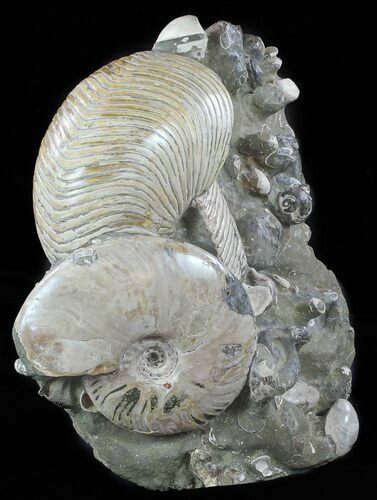 This is a stunning, 13" tall, display piece with many different, Cretaceous marine fossils in natural association. 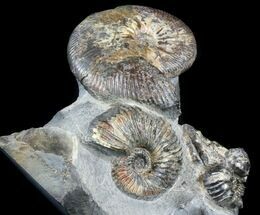 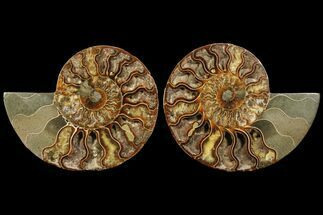 The two central fossils are a very large, 6.6" wide Nautilus and a 6.3" wide ammonite. 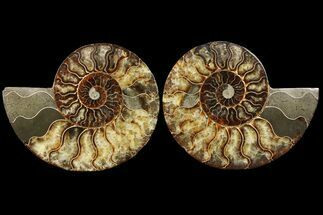 There are also numerous smaller ammonites, gastropods, clams and belemnites encompassing several species. 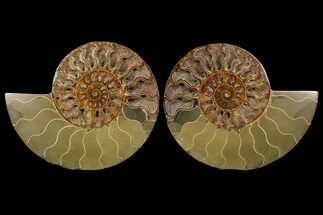 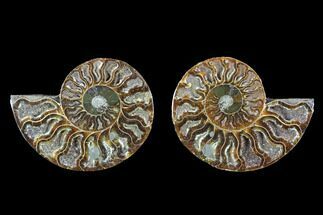 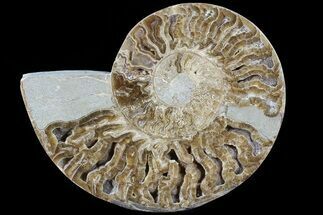 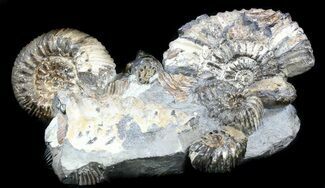 The ammonites are Cretaceous (Albian Stage) in age or approximately 110 million years old and are quarried in the Mahajanga Province of Madagascar. 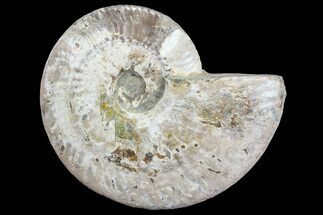 The entire piece is 13" wide, 13" tall, and the base has been cut flat so that it displays well on a hard surface. 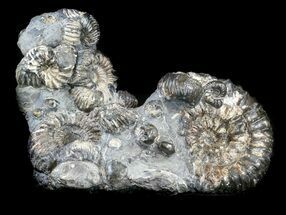 The fossils on the front (display) of the piece has been slightly polished white the ones on the back are in a natural, rough state.